We manufacture and export exotic array of superior quality aromatherapy candles. As the name suggests, this candle gives freshness and energy to the mind and soul with relaxing fragrance. We offer this in most attractive price for our customer. These candles are so beautifully designed by professional artists that they touch one s heart. Our patron can avail from us a quality proven a range of Aromatherapy Spa Candles, which is formulated by taking of optimum quality ingredients. This product is recommended for its effective features. We manufacture and export exotic array of superior quality aromatherapy candles. As the name suggests, this candle gives freshness and energy to the mind and soul with relaxing fragrance. We offer this in most attractive price for our customer. These candles are so beautifully designed by professional artists that they touch one’s heart. In order to cater the increasing demands of our valuable customers, we are engaged in offering a finest quality range of Aromatherapy Candles. 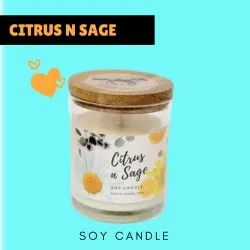 The provided range of candle is precisely formulated by our diligent professionals by using high quality ingredients that are sourced from some of the authentic vendors of the industry. 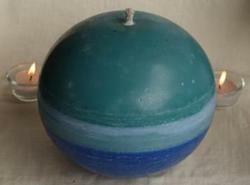 7 chakra candle is used for meditation. With a firm commitment to quality, our organization is engaged in offering a wide ambit of Scented Candles. Shop from the wide range of pristine aroma candles to light up with the sweet smell and refresh. Lavender, Ocean & Fresh Grass fragrance allows you to restore. Catering to the requirements of our clients, we are involved in offering Balancing Candles. Let the powerful alleviating aromas of grapefruit cinnamon and lemongrass essential oils dispel your unnatural fears, stimulate creative thought and lead you to the glory you were born for. Success is just a whiff away. A beautiful collection by Kothi lifestyle signature, Well known for its fine quality and world class look. Aroma art candle is made out of high quality aroma wax with different fragnances, A set of 4 pcs contains a aroma wax which is bounded by glass. Good colour and nice smell burning time 4hrs. our aromatherapy candles are scented with 100 % natural high quality essential oils. Aromatherapy is holistic therapy for your mind, body, and spirit. Essential oils are organic and act in harmony with the body, providing well being and balance.